This profusely illustrated Atlas, intended for young readers, tells the full story of the Bible from Genesis to Acts. The 96 maps which illustrate such events as the wanderings of the Patriarchs and the journeys of St. Paul are enhanced by a text written by the renowned British biblical scholar, F.F. Bruce. The work is not only a useful reference for finding places mentioned in the Bible, but also a marvelously well-written summary of the key events of biblical history. 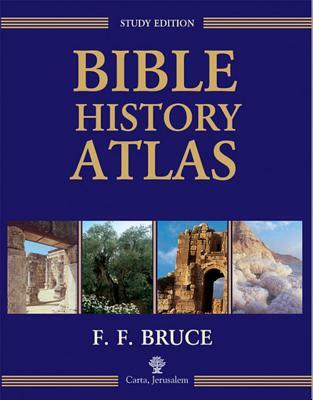 Bible History Atlas by F.F. Bruce was published by Carta, The Israel Map& Publishing Company in January 2005 and is our 39556th best seller. The ISBN for Bible History Atlas is 9789652205544. Be the first to review Bible History Atlas! Got a question? No problem! Just click here to ask us about Bible History Atlas.